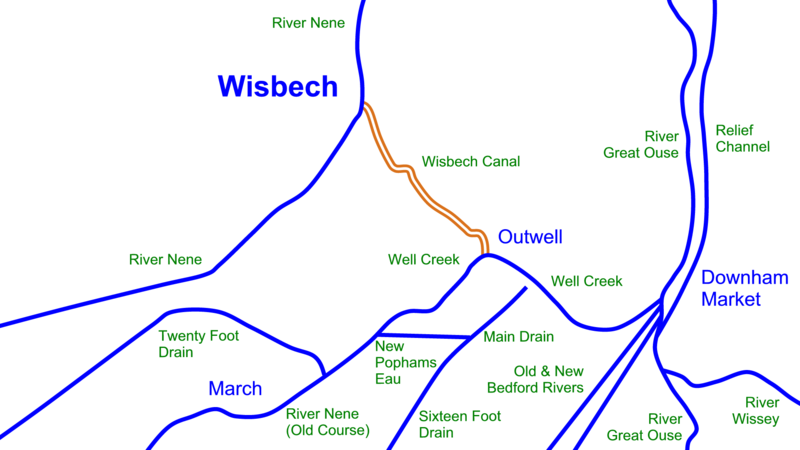 The Wisbech Canal once ran between the tidal River Nene at Wisbech and Well Creek at Outwell on the Middle Level Navigations. It was closed in 1926. Extract from Wisbech Canal Map. 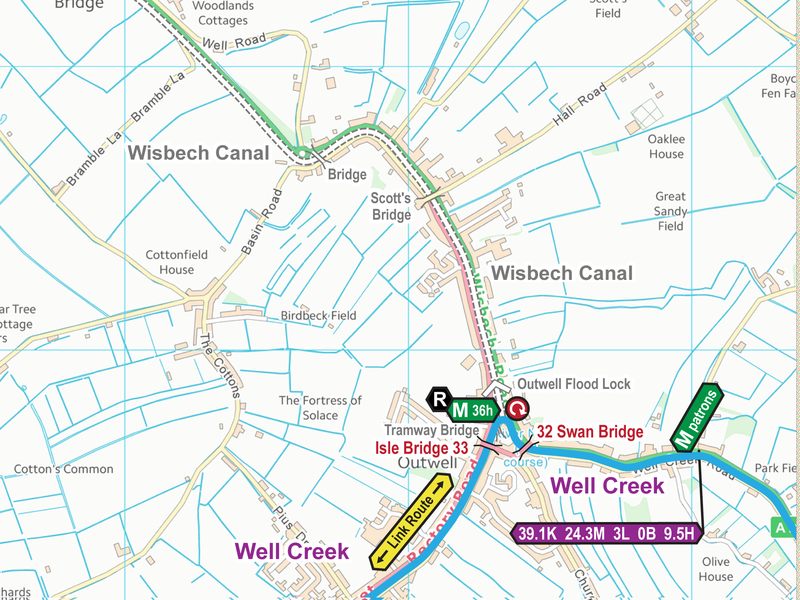 Visit the Wisbech Canal Map pages to download the free map on its own. This entry was posted in Wisbech Canal, Wisbech Canal Maps by Paul. Bookmark the permalink. Thank you for making this map available, (route of the Wisbech canal.) I’ve lived here for a few years now and wondered about the old canal. Seeing this I realize I’ve cycled a section of it! Colin: Thank you for your comment on my Wisbech Canal Map. I’m pleased you found the map useful. Any publicity you can generate for the map and my website through social media, blogs, word-of-mouth etc. will be greatly appreciated so others can find the map too.